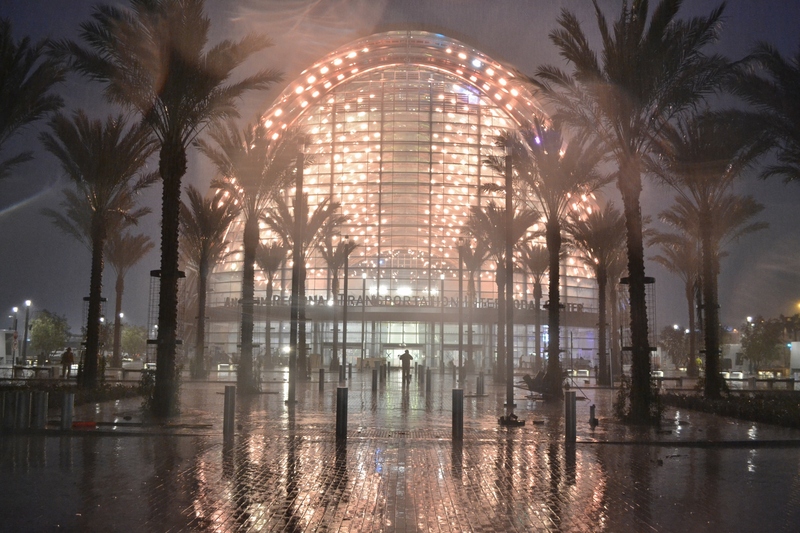 A construction worker, center, is seen in front of the ARTIC amid the rain on Wednesday, Dec. 6. 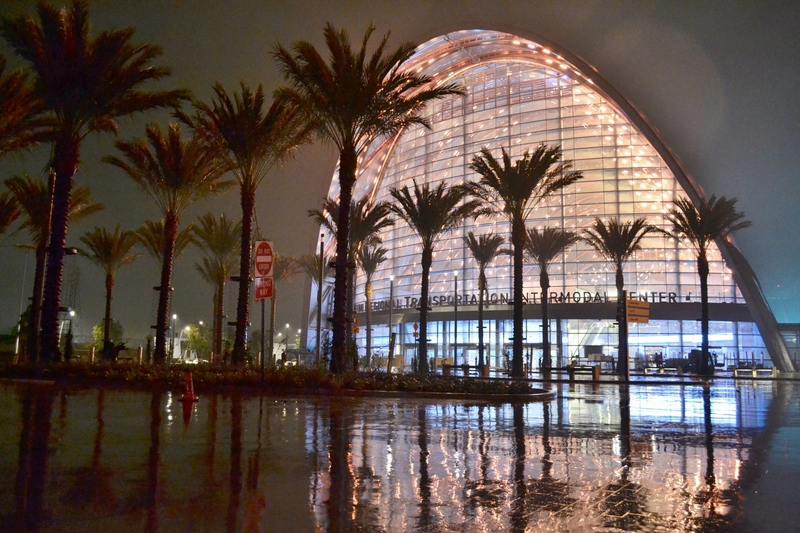 The Anaheim Regional Transportation Intermodal Center, known as ARTIC, is set to open to passengers on Saturday, Dec. 6., when train and bus stops will officially transfer over to the transportation hub. ARTIC’s first week appears to be a soft opening, with a community celebration and grand opening ceremony planned for Saturday, Dec. 13. When I visited Wednesday night, Dec. 3, workers were still working on the station, despite a heavy downpour of rain that had lasted through the afternoon. Here are some pictures I took of the station, a $180 million project that boasts energy-efficient panels and a modern design. The ARTIC on Wednesday, Dec. 3. 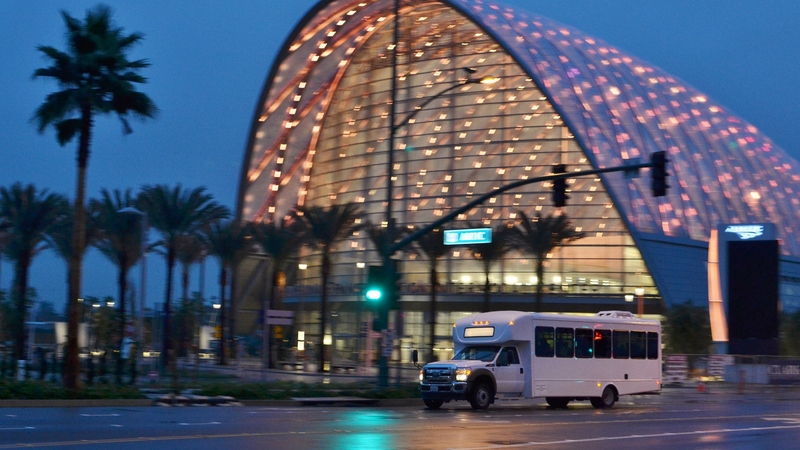 A bus passes the ARTIC on Wednesday, Dec. 3. 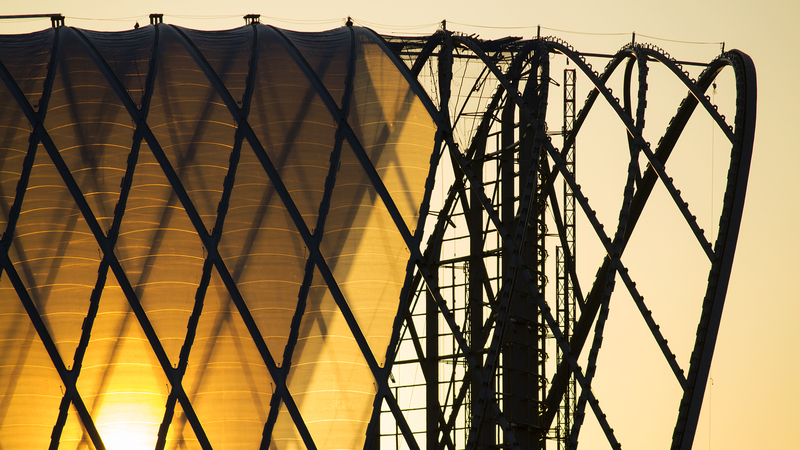 The Anaheim ARTIC at sunset on May 28, 2014. The first and second images are very dramatic.